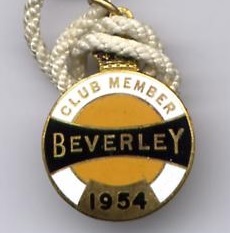 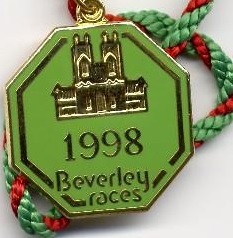 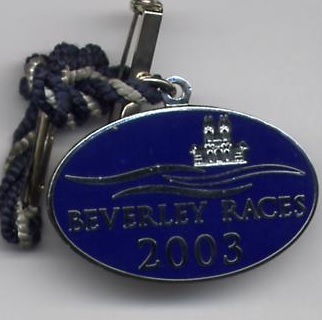 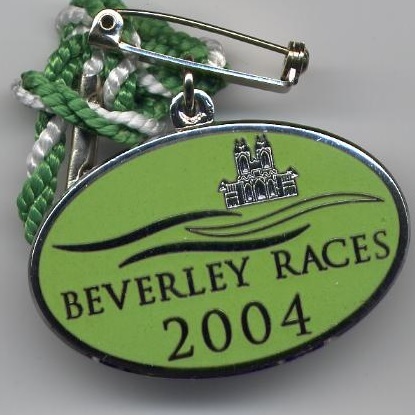 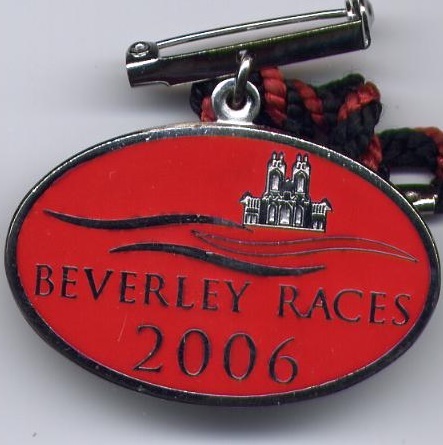 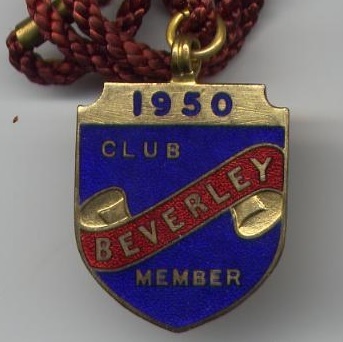 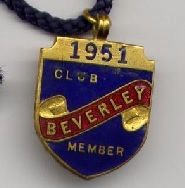 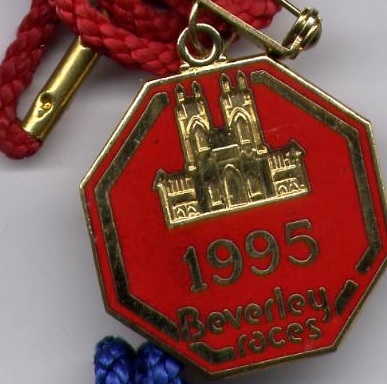 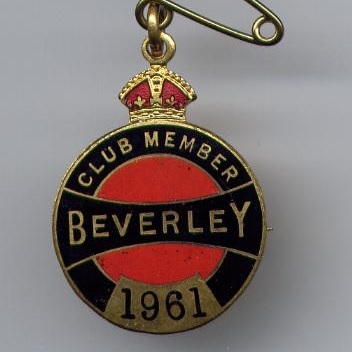 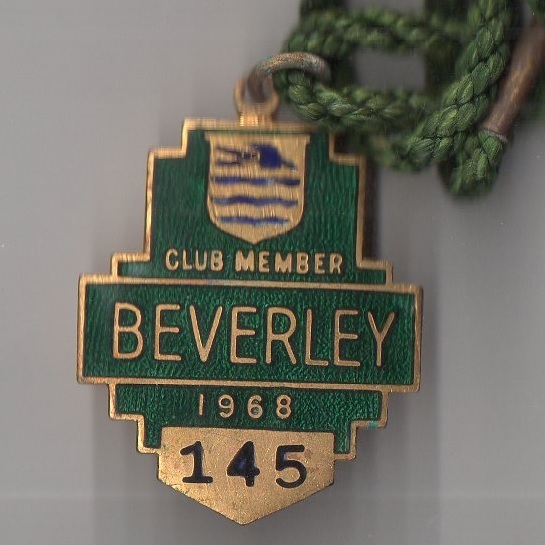 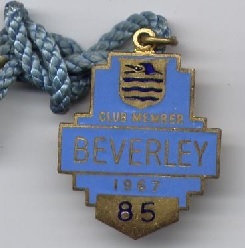 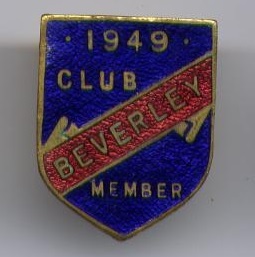 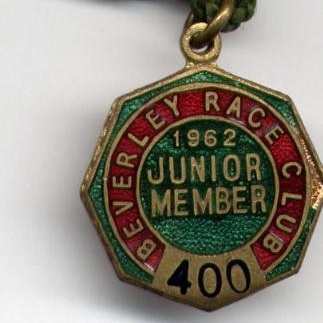 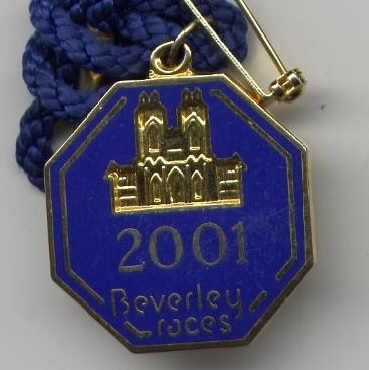 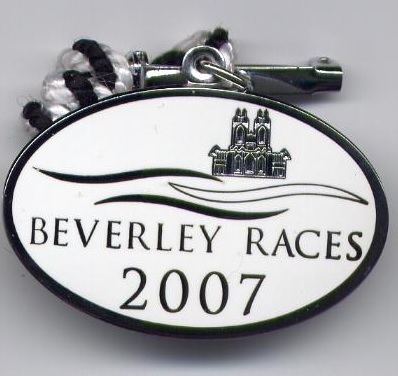 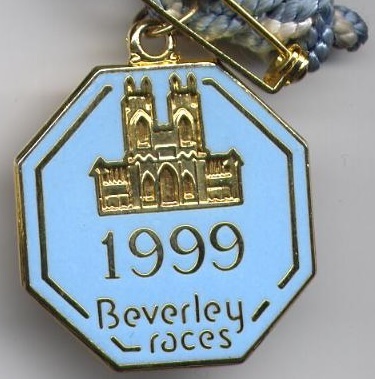 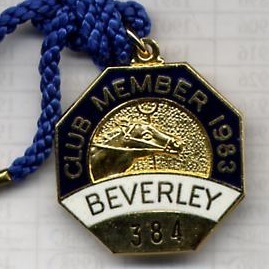 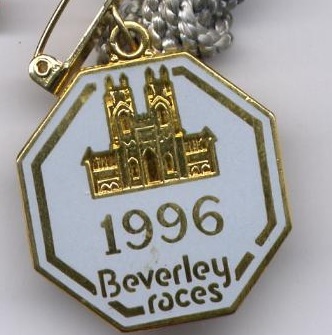 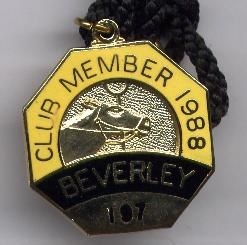 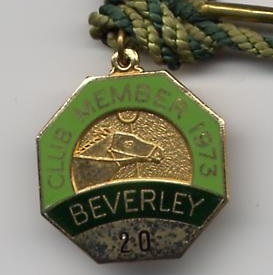 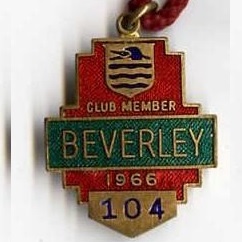 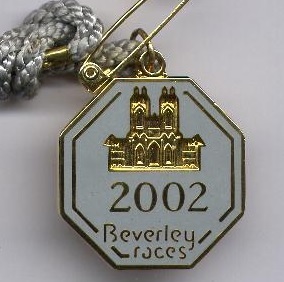 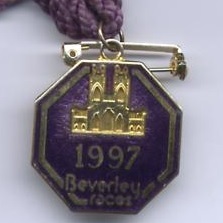 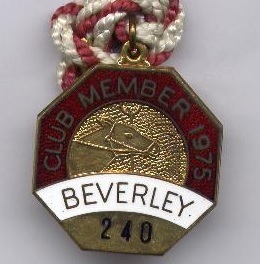 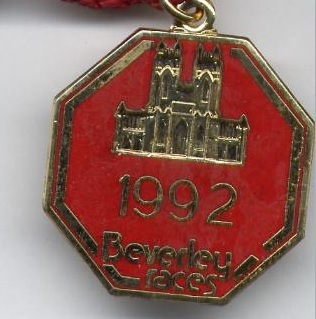 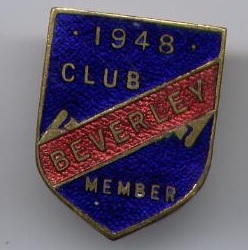 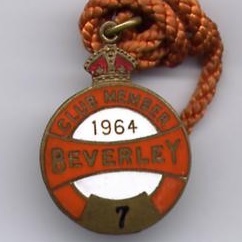 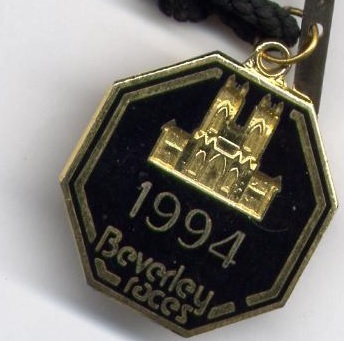 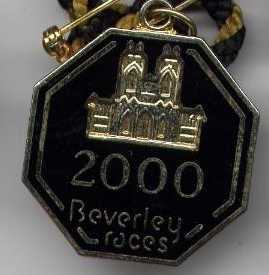 There is evidence that a permanent track existed in Beverley as early as 1690 on Westwood and Hurn meadows, and by 1740 Robert Norris was made Clerk of the Course at Beverley. 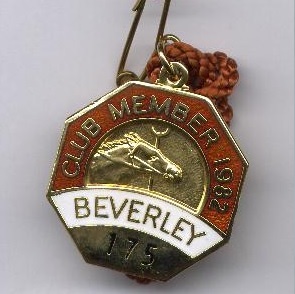 The first results to be included in Baily's Racing Register were from the meeting held in early Spring 1730, with results shown below. 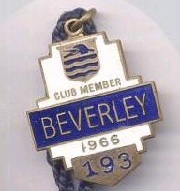 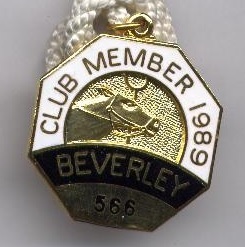 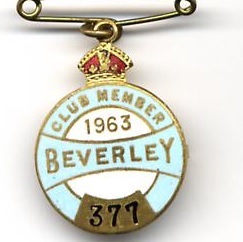 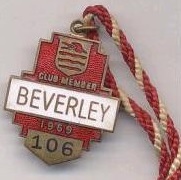 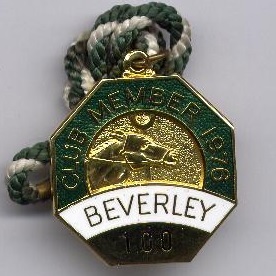 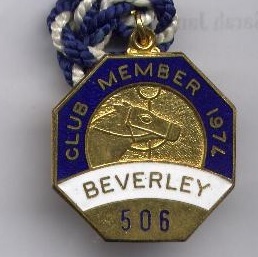  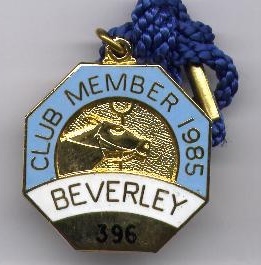 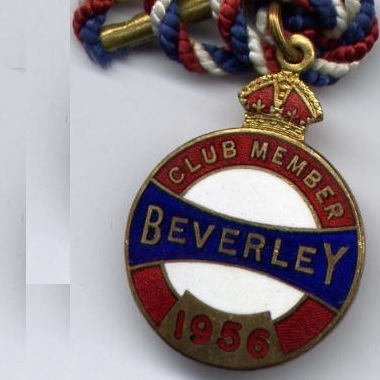 A 3 day meeting was held in June 1731 and results from that meeting are spread throughout the scans of the Members badges illustrated below. 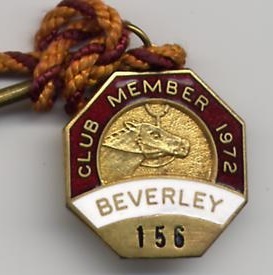 The first grandstand was constructed in 1767, costing the grand sum of £1000 which was funded by money raised from the sale of 300 silver admission tickets which gained free entrance for life for its subscriber. 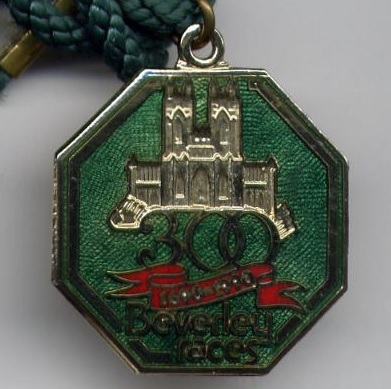 At least three of the silver tokens have survived to this day. 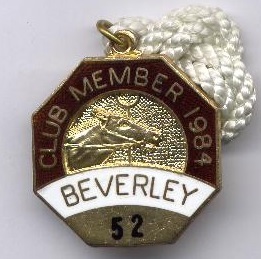 In 1813 Squire Watt, of nearby Bishop Burton, bred and trained numerous winners which included the St Leger winners Altisidora, Barefoot, Memnon and Rockingham. 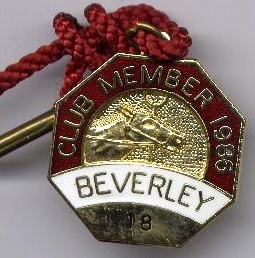 The great Blink Bonny won a two year old race at Beverley in 1856 prior to winning both the Derby and the Oaks the next year. 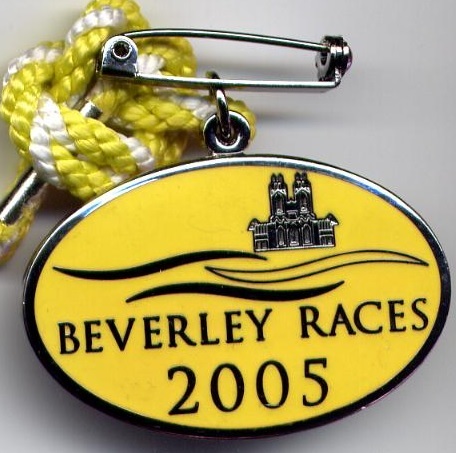 In 1885 the Watt Memorial Plate was run for the first time, financed from a fund set up in memory of William Watt, the son of the famous trainer Squire Watt, who died in 1874. 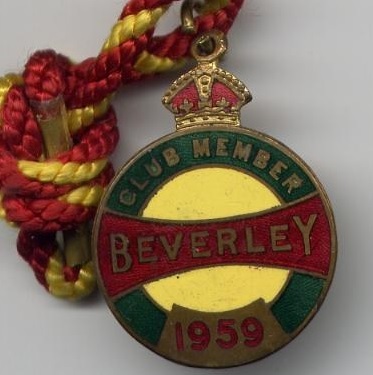 During both World Wars racing ceased, but four years after the end of the Second World War the new Member’s Stand was opened, although it took a further 18 years before The Earl of Halifax opened the Tattersall’s grandstand. 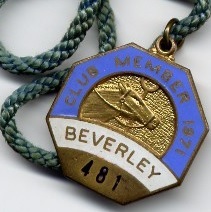 Currently the course hosts 19 meetings annually.